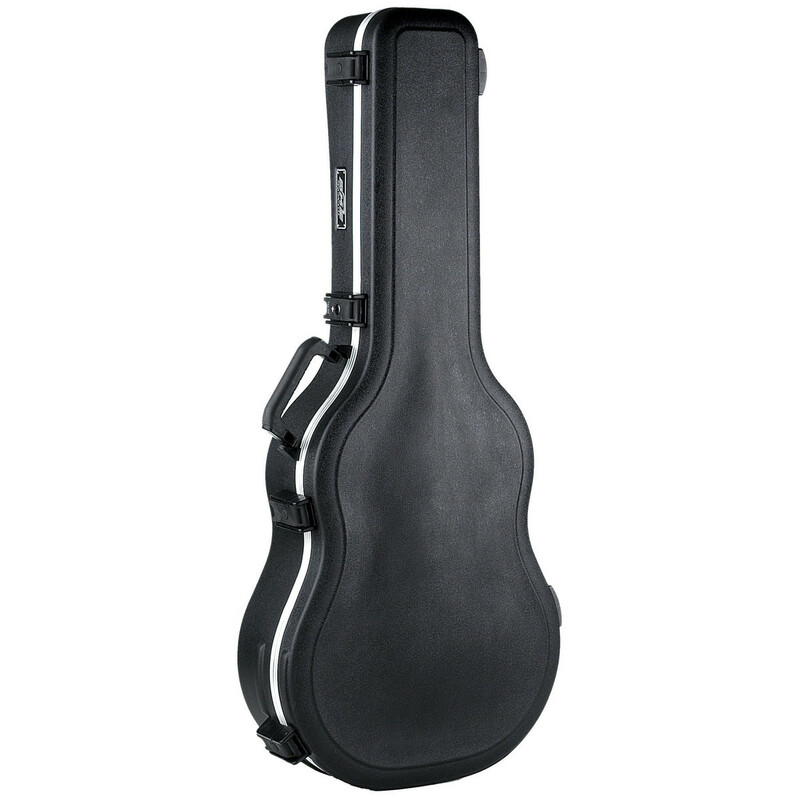 The SKB Acoustic Roundback Guitar Case is a highly durable transport case designed to fit most dreadnought and 12 string guitars The rigid EPS foam interior cradles the guitar securely and absorbs shock, protecting from impact damage. Other features include full-length neck support and a moulded in bumper design that provides maximum protection for the valance. The TSA accepted locks with SKB's trigger release latching system make this case perfect for any travelling musician wanting to protect their guitar. 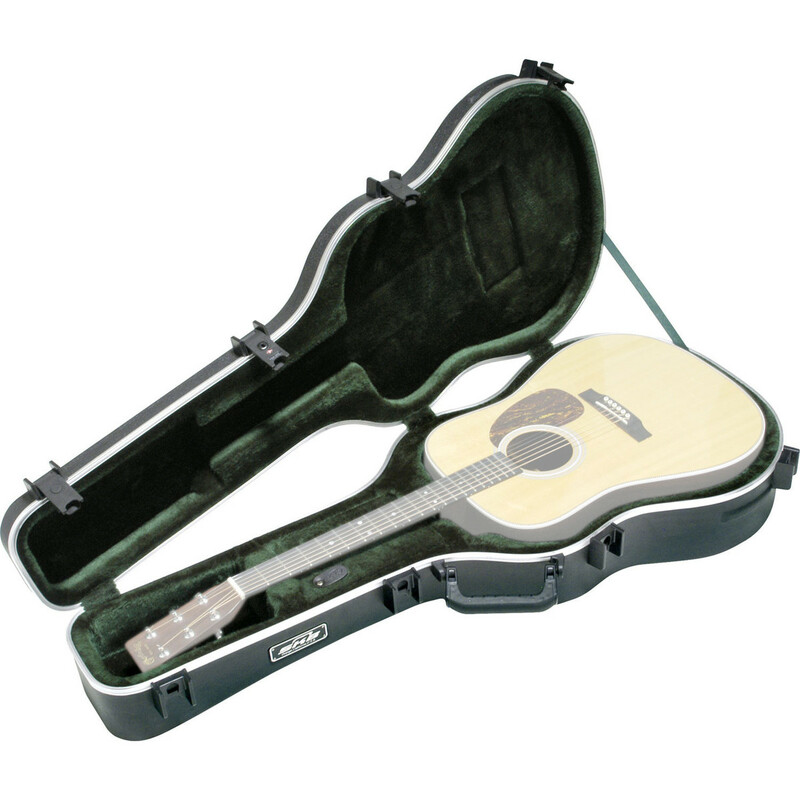 This acoustic dreadnought deluxe guitar case is designed to accommodate most dreadnought and 12 string guitars featuring a contoured arched lid that will accommodate knobs on electric models.. The case itself its comprised of SKB's patented fiberglass reinforced nylon trigger release latching system with TSA accepted locking latch. The TSA logo located on the case notifies TSA screeners that latches don't need to be broken for a security check, meaning you can keep your instrument secure while travelling. The case features a rigid EPS interior foam that offers full length neck support and is shock absorbent. The moulded in bumpers provide optimal protection for the aluminium valance resulting plus the case has an accessories compartment for storing strings, tuners and more. 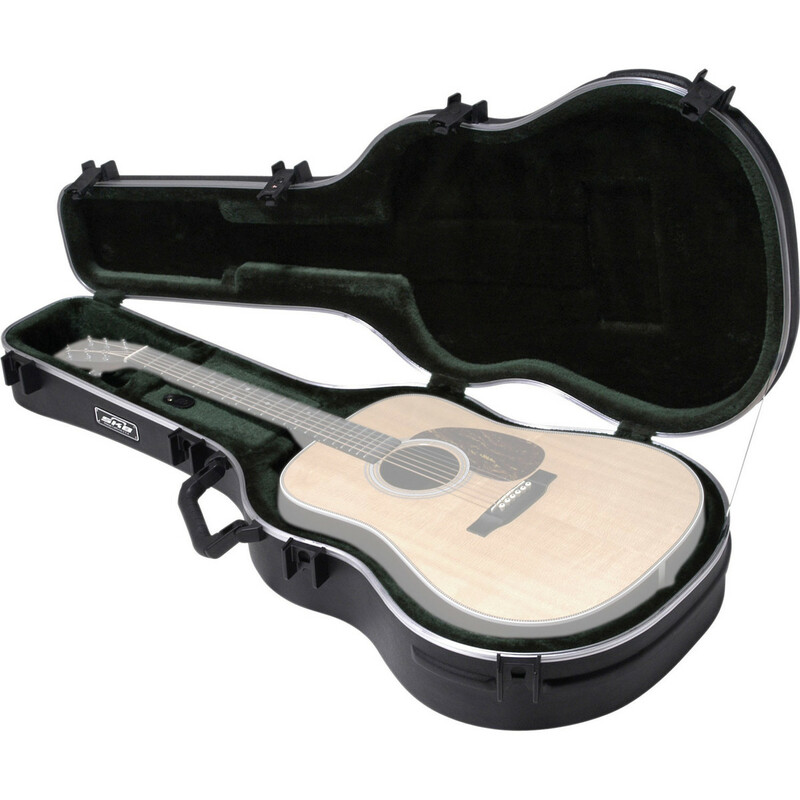 With its multitude of highly durable design components and its lightweight construct, this case is ideal for any travelling musician looking to transport their instrument safely and securely.